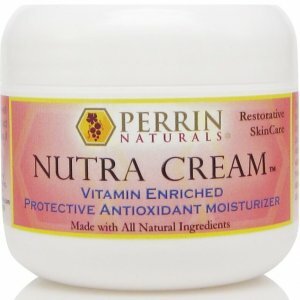 A vitamin and antioxidant enriched lip balm to sooth and heal your lips. 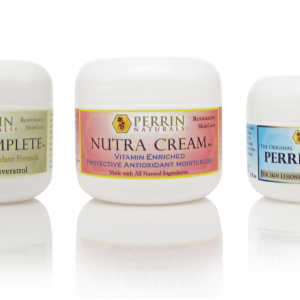 Perrin Naturals Lip Guard is a lovely 100% natural vitamin and antioxidant enriched lip balm. It will soften and moisturise your lips. The antioxidant protection can help protect your lips from ageing and UV damage from the sun. It is free from any synthetic ingredients. Vitamins E, A & D.
Grape seed extract helps protect against UV damage. 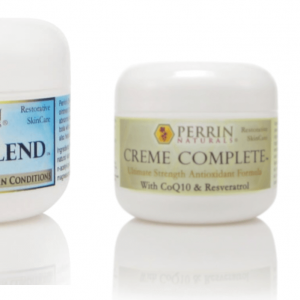 Dermatologist Gary Slaughter found camphor, phenol and menthol were the ingredients in some lip balms. When you spread it on it seems to soothe at first, but quickly dries up and requires reapplication. 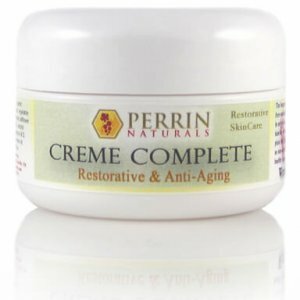 These lip balms actually dry you lips out at a very deep level and are harmful to the longterm health of your lips. Additionally OL (which indicates an alcohol) and salicylic acid are two more ingredients that may cause some people irritation. Beeswax, grape seed oil, organic castor oil, organic extra virgin olive oil, vitamin E in soy oil, grape seed extract, vitamin A and D, peppermint oil.